Boxfish Research is at the forefront of underwater observation innovation with remotely operated vehicles and video equipment built for cinematography, inspection, science, education, and adventure. Visit Boxfish Research. 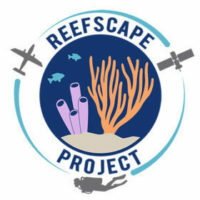 The Reefscape Project explores coral reefs at new biogeographic scales for science, conservation, management, and resource policy. The project is a multifaceted initiative combining extensive field work, high-tech remote sensing from the Carnegie Airborne Observatory and satellites, plus science communication and community outreach. Headquartered in Oakland, California, and with field offices in Hawai‘i, Fiji, Indonesia and Honduras, CORAL unites communities to save coral reefs. Working with local people, communities, and partners—from fishermen and government leaders to divers to scientists—CORAL protects one of our most valuable and threatened ecosystems. International teams design long-term and lasting conservation programs that reduce local threats to coral reefs and are replicated across the globe. 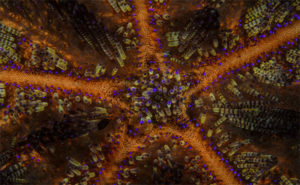 For more information about CORAL or to make a donation to protect coral reefs, visit www.coral.org. Laura is an Emmy Award-winning cinematographer, technical scuba diver (Women Divers Hall of Fame, class of 2016), marine conservationist, and citizen scientist. She works as an independent filmmaker, and founded Beneath the Looking Glass, LLC, a production company specializing in underwater videography, educational outreach, and environmental advocacy work. FjordPhyto is a polar citizen science project gathering information on the community of phytoplankton species living within fjords along the west Antarctic Peninsula and Greenland/Svalbard. 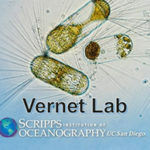 Researchers from the Vernet Lab at Scripps Institution of Oceanography have teamed up with polar operators and guides to engage passengers in current climate change science. Visit the website www.fjordphyto.org for more information and follow along on our social media platforms. MarAlliance explores, enables and inspires positive change for threatened marine wildlife, their critical habitats and dependent communities. Eric Cheng is an award-winning photographer, technologist, drone expert, and author. He works at Oculus (Facebook) as Head of Immersive Media for Oculus Experiences. Visit his site here. Rebecca is Assistant Curator, Invertebrate Zoology, Patterson Scholar, and a coral reef biologist. You can read about her research here. Tom is a world class underwater photographer and conservationist, TED speaker, and the co-inventor of Siri. Visit his website. Founded by underwater photographer Rick Miskiv, 22 DEGREES creates rugged jackets and bags designed for people who work on the ocean. Tanya Houppermans is an internationally recognized multiple-award winning photographer specializing in images of the natural world, especially below the water’s surface, while advocating for the protection of the world’s marine ecosystems through education and conservation. 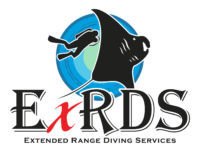 At ExRDS we are committed to the global health of marine ecosystems. This is not only critical to life on Earth, but also necessary for the success of the dive industry as a whole. Our training and travel focus is to bring the citizen to the science by using diving as a conduit for ocean conservation education. In this way we can be part of the solution, and will continue to encourage others to do the same. The Shuffield Conservation Fund is a major supporter of the Oceans 360 project. Forest Design serves as our marketing department. They deliver creativity, amazing service and technology know-how and create effective, emotionally engaging marketing outreach and assemble the toolkit organizations need to meet their objectives. Learn more about Forest Design LLC.